1. Any reference to Company/Seller/We/Us shall mean RSC Europe Ltd, Everest Works, Hope Street, Accrington, BB5 0PL, United Kingdom (Registered Office) Company Reg. No. England VAT No. who sell or supply used & new car parts and accessories in the course of their trade or business. 4. 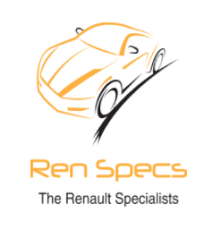 Price shall mean the consideration due for purchase and shall include VAT where a Buyer purchases through www.Renault-Spares.co.uk. 8. The company reserves the right to amend technical or clerical errors in any order without notice. In addition, the buyer shall ensure that all details contained within the order are correct prior to submission to the Company. Subsequent to delivery, the Company shall accept no liability for any error or inaccuracy in order unless notified of such error within seven days of delivery/receipt of any document containing the said error. 9. Advice given by agents or servants of this company during telephone/Internet orders is based entirely upon information given by the purchaser with no inspection undertaken. As such, all advice given is indicative only and all such advice should be checked by the purchaser prior to order. Where advice is given after visual inspection by agents or servants of this company, such advice shall amount to an opinion only. Additionally, goods supplied are supplied only to correspond to the purpose for which goods of that kind are commonly supplied and not alternative uses to which they may be put. No liability for failure can be accepted by this company for such alternative use, amendment or modification. 10. For trade buyers, the company is hereby excluded from any liability, howsoever arising, in respect of any express or implied condition, warranty or term, statement, representation whether statutory or otherwise, relating to the goods supplied. The trade buyer accepts that he is best placed to insure against losses which arise by virtue of any breach of this agreement and warrants that he carries adequate insurance in this respect. 11. Goods ordered by the Buyer may not be compatible with vehicles which have been modified, adapted or altered. Where goods ordered by the Purchaser are not compatible by reason of modification, adaptation or alteration, the Company may accept such goods back into stock entirely at its discretion, and shall either issue a refund or credit to the purchaser except where goods are specifically ordered for the purchaser where no such refund or credit will operate. 11=2. Where goods purchased by the buyer are alleged to be defective, the purchaser agrees to return such goods to the seller for inspection and report (without the seller replacing the said goods prior to such inspection). The purchaser also accepts that it is reasonable to inform the seller of any interruption, defect or other failure prior to contacting independent third parties or incurring expense and, in addition, to allow the seller to remedy the defect, failure or interruption. Parts modified or adapted by the purchaser shall no longer be warranted by the manufacturer nor shall the Company be liable for any failures resulting subsequent to modification as a result of such modification. 12. Competition goods are supplied for specialist use and are subject to extreme heat and stress whilst in use. Life expectancy and durability are greatly reduced and purchasers should note that any claim for failure/wear, shall not be entertained by the Company. It is acknowledged by the buyer of such goods that the foregoing statement shall be a relevant and important issue in any claim brought against the Company and the Company shall, in turn, place importance upon this clause. In addition, parts connected to parts supplied by this company may be placed under stress where specialist/competition parts are used, and purchasers should take advice from experts prior to purchase. Manufacturers may also limit guarantees when components are installed for competition use. 13. Where goods are defective, incorrectly supplied, delayed or otherwise in breach of the implied terms of the buyers statutory rights, all losses which result from loss of competition points, awards, loss of entry fees or other similar losses, are excluded and shall not be reclaimable from the Company. In addition, the company shall accept no liability for death or personal injury unless caused directly by the Companies own negligence. 14. No liability is accepted by the company where purchasers attempt to modify or install components supplied where it is known or ought reasonably to be known to the Purchaser that the part supplied is incorrectly supplied or otherwise not in accordance with the order. 15. The company accepts no liability in respect of failure to supply or other interruptions caused by matters beyond the reasonable control of the company, including but without limitation, strikes, lockouts, civil disputes, acts of God, war or actions by third parties. 16. Notwithstanding any other provision of this Agreement, nothing in this Agreement shall confer a benefit on any person or persons not named as the purchaser herein (for the purposes of the Contract (Rights of Third Parties) Act 1999 or for any other purpose). 18. Unless otherwise stipulated within the sales invoice/order form, all accounts are payable with order or otherwise in accordance with the terms of the trade buyer's credit account. Where default occurs in payment by the trade buyer, default interest shall become payable in accordance with the Late Payment of Commercial Debts (Interest) Act 1998 at the maximum rate permissible thereunder or in accordance with the credit terms agreed or, where the buyer is a consumer, at 2% above the base rate of the HSBC Bank PLC. 20. Delivery times will be quoted at time of order and all times given for despatch or delivery are approximate and time shall not be of the essence. The buyer agrees to give 20 days in any written notice making time of the essence, such notice to commence subsequent to the last time for delivery quoted by the Company. The Buyer further agrees to accept full liability in respect of delayed or late delivery or dispatch prior to the expiry of any such notice. In respect of special order goods, the buyer acknowledges that further delays may occur and allows the company 30 days in any written notice, such notice to commence subsequent to the last time for delivery quoted by the Company. In any event, delivery times are approximate and variable. When delivery is effected to the purchaser directly or to an independent delivery contractor as agent for the purchaser, risk shall pass to the buyer immediately. 21. The Buyer is required to notify the company, in writing, of any shortage, misdelivery or other discrepancy immediately, or at the latest within seven days of such shortage, misdelivery or failure, thereafter the buyer shall be liable for any such discrepancy. Where delivery is effected to the buyers own independent delivery contractor, loss or damage in transit claims should be made directly to the carrier. The company will assist purchasers in making their claim. Buyers should retain all packaging in the event of a claim or return within the terms of this agreement. 22. Delivery and packing prices indicated within the Companies Brochures and Internet Site are subject to change and will be confirmed at the time of order. Buyers outside the United Kingdom and Europe shall be quoted approximate prices for delivery and packing prior to order confirmation. If required the Company shall quote for delivery and packing in such instances and confirmation of acceptance shall be required from the Buyer prior to acceptance of order. 23. Clauses 24, 25, 26 and 27 below shall only apply to a person who purchases goods as a consumer buyer and is resident within European Economic Community where rights, which accrue by virtue of the Consumer Protection (Distance Selling) Regulations, apply. 24. A Consumer Buyer shall have the right to cancel any contract for goods made by means of distance communication, in accordance with these Terms and Conditions, within seven working days of delivery of the goods. Special order goods shall not be returnable under the terms of this clause. Cancellation of the contract can be effected by service of a Written Notice signed by the Consumer Buyer which details clearly the Companies Sales Order Number and the name and address of the Consumer Buyer, and delivered either by fax to the number printed on the Invoice or by post to the Company's registered office. 25. If a Written Notice of Cancellation is received by the Company in accordance with clause 24 the Consumer Buyer shall become liable to return the goods to the Company forthwith, to such address as directed by the Company in their original packaging (and without having been installed or used and with all relevant seals and enclosures intact) and at the consumer buyer's sole expense. 26. If the Consumer Buyer fails to return the goods in accordance with clause 25 within 7 days of the cancellation of the contract, the Company shall be entitled to collect the goods from the consumer buyer and to recover any reasonable costs involved in such collection from the consumer buyer. 27. The Company shall then affect a refund of any monies owing to the consumer buyer in respect of the goods within 30 days from the date of cancellation or receipt of goods by the Company. Such a refund will be subject to any set off of monies to which the Company is entitled under clause 26. 28. Goods purchased and delivered to the buyer otherwise than by means of distance communication (including a Trade buyer) may be returned to the Company in original packaging (and without being installed or used and with all relevant seals and enclosures intact) for credit within 7 days of receipt by the buyer, subject to a restocking charge of not less than 20% of the value of the order. Credit shall be subject to the buyer producing proof of purchase and returning goods carriage paid. 29. The Trade Buyer shall indemnify the company against all actions, claims, demands, penalties and cost brought by or incurred by third parties or this company in tort, contract, infringements of or alleged infringements of patents or registered designs or otherwise arising in connection with the goods or their delivery or unloading or with work done by the company in accordance with the buyers specifications. 30. The Buyer confirms that he shall comply with any or all rules and instructions relating to installation and use of the product concerned and fully accepts that any loss which results from forced, misdirected, inappropriate or unqualified installation or use shall not be accepted by the Company. 31. These terms and this agreement (including an agreement concluded by means of distance communication) shall be interpreted in accordance with English Law and industry custom and practice, and English and Welsh courts shall have sole jurisdiction in respect of any dispute arising there from. 32. We do not store credit card details nor do we share customer details with any 3rd parties.